Below is a list of frequently asked questions. If your question is not there please contact us via email or phone: +31 (0)566-624062. Do I need experience or a sailing certificate? You can hire all our boats without a sailing certificate. If you don’t have experience, you must take some handling instruction. For novices we have a number of instructors who can teach you to become a good helmsman within three to five hours. The crew also receives instruction about mooring and how to deal with the ropes. We charge for handling instruction, please ask for details. Are different departure days possible? In the early and late season it is also possible to hire midweek, for the weekend or for a different duration. We put availability for these times on the last-minute page. If you have specific dates in mind, please contact us by mail or by phone, +31 (0) 566-624062. For midweek hire, we charge 60% of the weekly rate, and for a weekend it’s 70% of the weekly rate. You choose a boat and your holiday dates and availability is shown on our free weeks list. You then book using our booking form. As soon as we have received your booking form we will send confirmation by email or telephone. After that you will receive the contract and invoice by mail. Upon receipt of these you sign the contract and send it with a deposit of 50% of the hire fee within 10 days. The remainder of the hire fee is due four weeks before departure, by bank transfer. You can reach us by phone 7 days a week and we can provide all the information you need. If you make your booking by phone, you will receive the contract and the invoice by mail. Upon receipt, you sign the contract and send it with a deposit of 50% of the hire fee within 10 days. The remainder of the hire fee is due four weeks before departure, by bank transfer. Your reservation is final when we have received 50% of the hire fee within 14 days after booking. The remainder of the hire fee is due four weeks before departure. This is detailed on the inventory list. All you need to bring are; sleeping bags / blankets or duvets, towels / tea towels, torch and binoculars. Under-sheets, pillows and pillow-cases are provided. There is a supermarket near our marina for stocking up before departure. What is the sailing area of the boats? 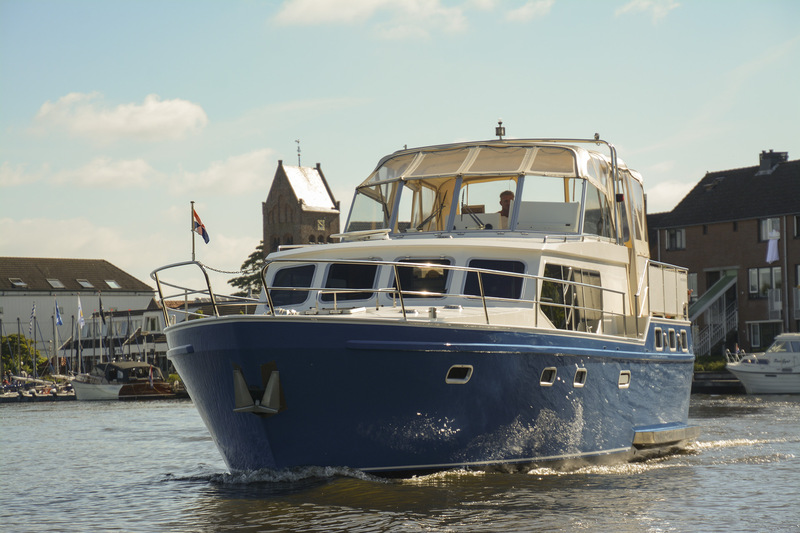 The waterways of Friesland, Groningen and Overijssel are the sailing areas of our boats. 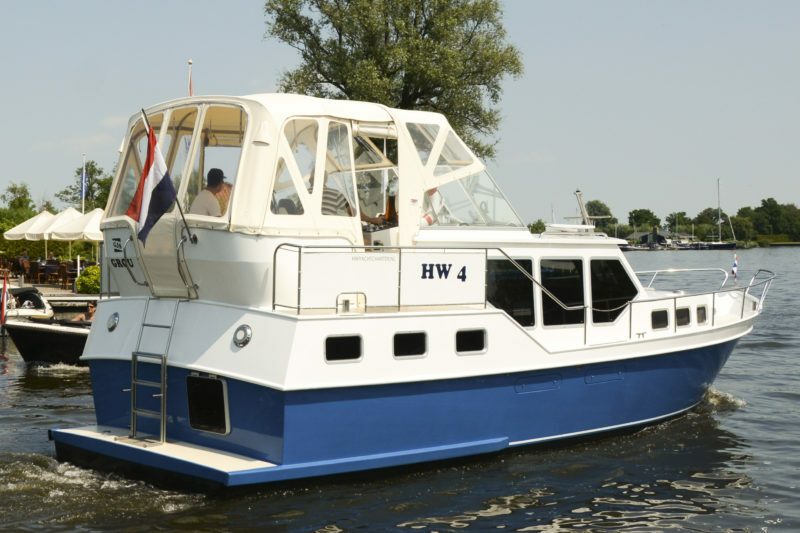 If you are an experienced helmsman, with our written consent, you can cruise on the IJsselmeer or the great rivers. For this you have to provide your own nautical chart, binoculars and compass. If you are you going on the IJsselmeer then lifejackets are also required. These can be hired from us. Sailing the IJsselmeer is not allowed when the weather conditions are not good, and wind above wind force 4. What costs are not included in the hire fee? • cleaning. We expect you to return the boat as you found it, inside and out. You can also let us do the cleaning, we charge from € 35.00 for cleaning the inside and € 45.00 for cleaning the outside of the boat. Can we bring our own bicycles or hire them? You can bring your own bicycles or you can hire high-quality bikes from us. When you collect your boat, if you tell us that you have bikes with you, then we provide foam rubber for placing between the boat’s side rails and the bikes. A bicycle on board is ideal for reaching all the beautiful places. Furthermore, a bicycle is handy for doing shopping or visiting a museum, amusement park or 'oasis'-style swimming pool. Before boarding you can park your car near your boat. In our marina there is a large enclosed car park where you can park your car for free during your stay on board. On your boat keys is also a key to the car park so you can use your car whenever you please. Parking is, of course, at your own risk. What about the deposit and insurance? The boats have comprehensive insurance. There is a voluntary excess of € 600 for all boats. This amount is paid as a cash deposit on departure. This deposit is refunded when the boat is returned clean, with a full inventory, undamaged and on time. In the event of a late return, we will charge € 45 for every hour overdue. Because of allergies, pets are not allowed on board.